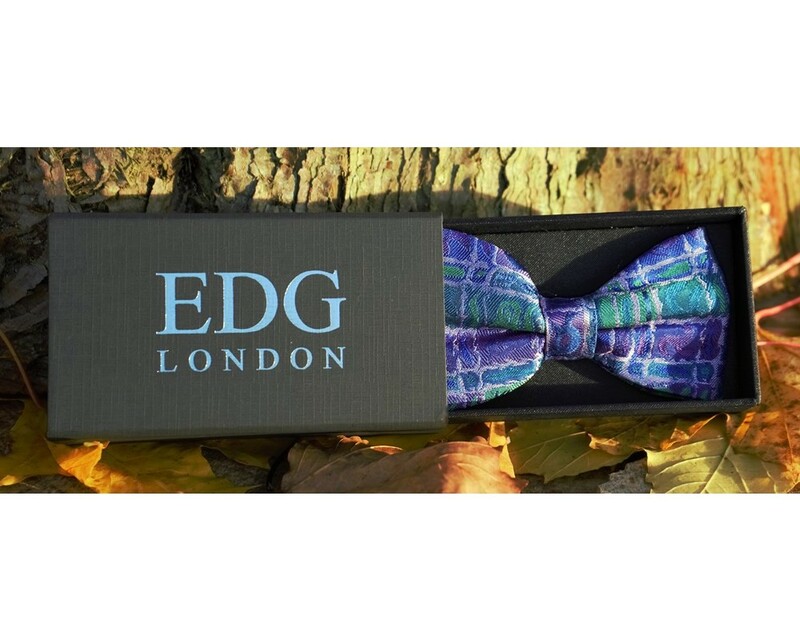 A vital addition for the forward thinking Man's wardrobe; The EDG Designer Bow tie is the 'par de resistance' adding an exquisite finish to your tuxedo or your sharp tailored suit. 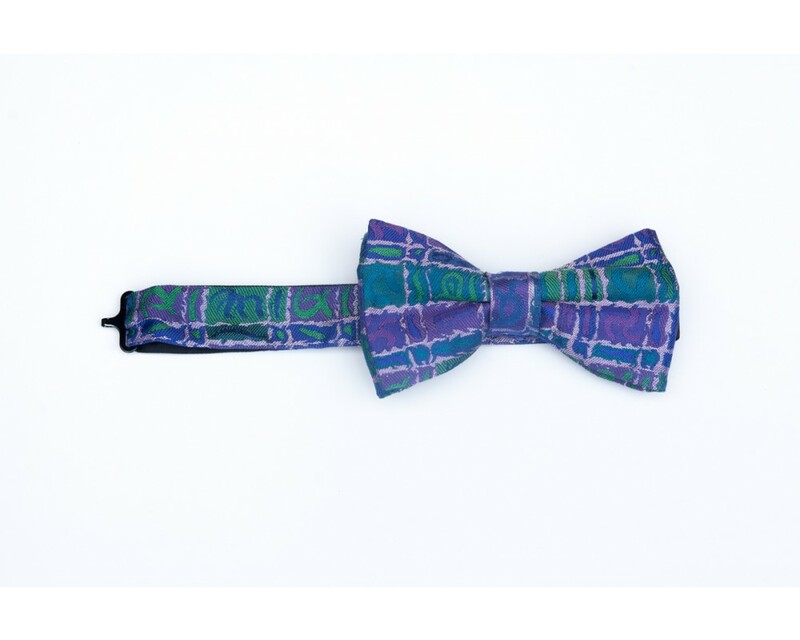 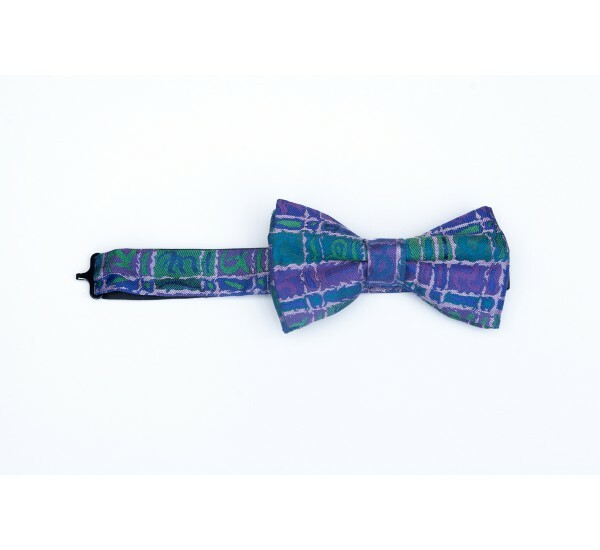 The Bow Tie is luxuriously woven in pure silk in England, in intertwining blues and green creating a wonderful contrast against a pure white or blue shirt. 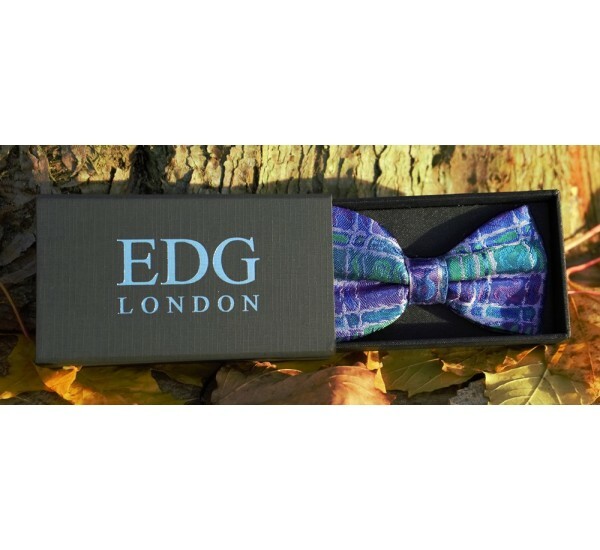 Partner with the Pocket Square to really complete your look.